One of the most beloved Lilli Jahilo dress styles, this piece is made from soft georgette that has just the right amount of weight so it moves beautifully with each step. 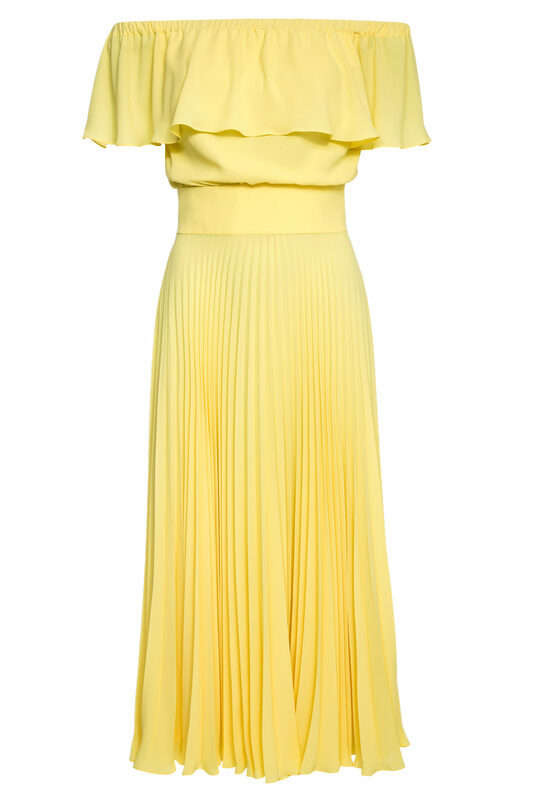 The Shereen dress has an elegant off-the-shoulder neckline with a ruffled overlay that kicks out into a pleated skirt. 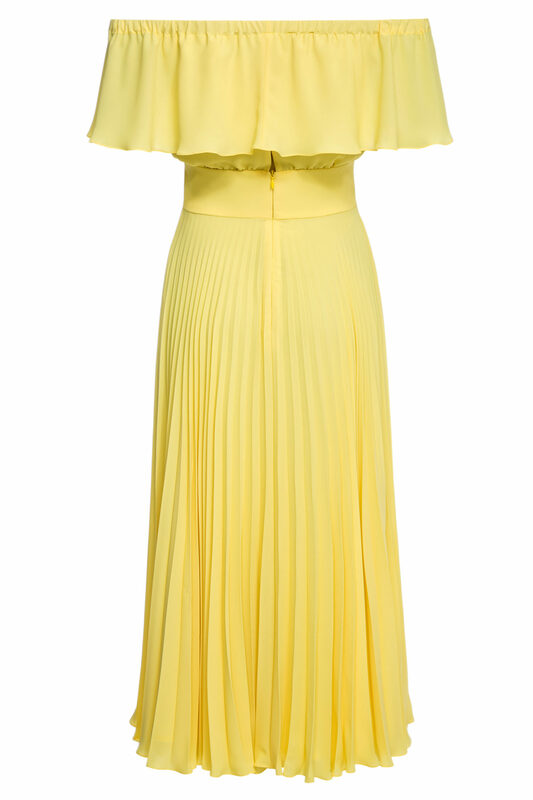 Styling tip: The sunny yellow color looks great with tan or metallic accessories. Pair with strappy heels or wedges to embrace the romantic summer look.